4c. 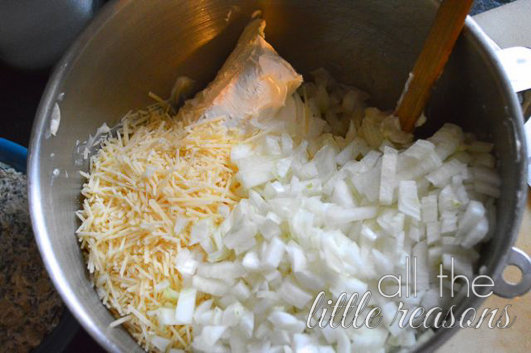 finely diced vidalia onion. 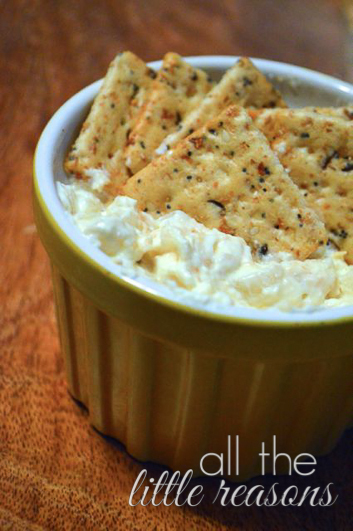 It doesn’t have to be vidalia, but the sweetness really makes this dip the amazing appetizer that it is! Blend all the ingredients well and place in a 9×13 pan. When ready to bake, pop into a 350 degree oven for about 30-40 minutes. I watch it after 30 min and take it out when it’s brown and bubbly on top. 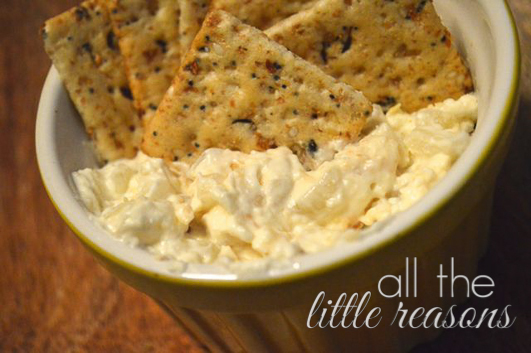 Serve it with crackers (these are Everything crackers from Trader Joes. I love them). 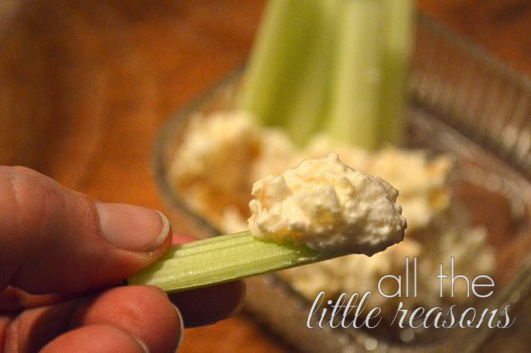 I’m working toward being a Trim Healthy Mama, so the crackers are a no no for me. (Actually, this might also have too many onions, but I decided not to care about that!) This is how I ate it tonight. I also have to admit that we ate burgers and I put mine between romaine leaves and slathered this on top. Pretty delicious! 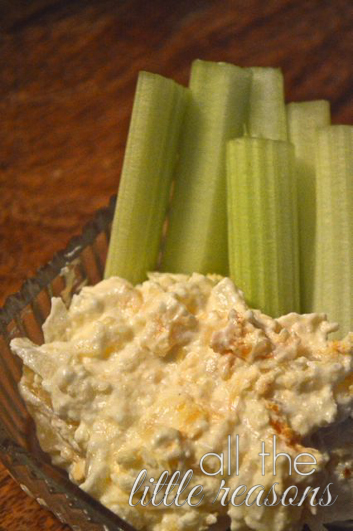 So if you’re looking for a low carb option to serve, this might be your favorite thing to eat this Superbowl Sunday!